Gwen is a 40-something freelance writer and social media consultant who grew up in Singapore and has an unhealthy love for makeup, hair, and fashion. She currently lives in Toronto, Canada with her husband and 8-year-old daughter, and dreams of retiring to a warmer climate one day. Preferably tomorrow. When she decided to put her career in corporate marketing on hold to stay home and raise her daughter, she was grossly unprepared for how difficult it would be, and while she enjoyed most moments of her first, sleep-deprived year as a mother, she started to feel as though she was losing a part of herself. So after a particularly long and colicky night, she decided to create a space where her ‘village’ could come together to share the things they’re most passionate about in an effort to make the lives of modern, fabulous women (hers included!) a little easier. 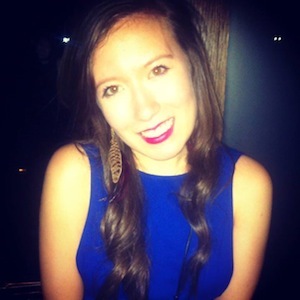 Kate is a freelance writer with a background in fashion, beauty and wellness. She’s always had a passion for the written word, and after interning at publications such as FASHION Magazine and The Kit, she knew she had to take her passion to the next level. When she’s not trying out new recipes, taking a hot yoga class, or curled up with a good book, you can find her blogging about lifestyle tips and entrepreneurialism at Layered Indulgence. Tania is a fulltime writer and blogger based in Dallas, Texas. Her love of writing goes back to her pre-school days— as a young girl, she decided she was either going to become a writer or an actress. However, after receiving a scholarship as an acting major in college, she jumped ship after one semester and became a journalism major instead, deciding it was best to keep her dramatics on pen and paper rather than the stage (although her acting skills have certainly come in handy over the years). After spending eight years living in and remodeling homes with her husband (while documenting all their adventures, of course! ), they are now taking a remodeling breather to enjoy spending time with their one-year-old daughter. 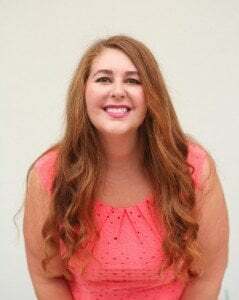 Tania calls blogging the other love of her life—she owns and runs the popular DIY site, Run to Radiance as well as a business where she works with bloggers to provide blog content and social media strategy.